Electronic article surveillance (EAS) is a technological method for preventing shoplifting from retail stores or pilferage of books from libraries. Special tags are fixed to merchandise or books. These tags are removed or deactivated by the clerks when the item is properly bought or checked out. At the exits of the store, a detection system sounds an alarm or otherwise alerts the staff when it senses active tags. 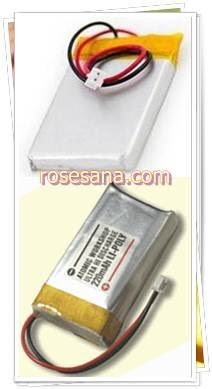 For high-value goods that are to be manipulated by the patrons, wired alarm clips may be used instead of tags. Promatic PDS3210 Electronic Article Surveillance System is designed and manufactured by a team of highly trained electronic engineers in the field of security engineering. The system uses the Radio Frequency technology to tags all merchandise thus allow the merchant with the ability to prevent unpaid item from leaving the store without notice. The PSD3210 while prevent commodities from being stolen effective at the same time it can help to built relationship between customers and store owner. This system is designed to suits all kinds of retail sites, such as supermarkets, AV stores, clothing stores, bookstores, library, drug stores, game arcade and any establishment that have an open shelf business concept etc. This system can also be used to tags on elderly in homes and children in child care centre. The Securitex/Promatic EAS system was manufactured under the ISO9000 standard and carries the CE certification as well. - High sensitivity and very low false alarm rate as the system adopted the 2nd generation DSP (Digital Signal Processor) technology. - It adopts filter technology and decrease noise circuit technology. - Two kinds of alarm tone---quick and slow, it also has three kinds of volume---high, medium and low for you to choose according to your needs and the environment noise level. - It is also very convenient to install and calibrate. - Performance is unique and novelty. The design is very pleasing to the surrounding as the unit is manufactured from metal structure thus it is very rugged, reliable and highly durable. Electronic Article Surveillance system (EAS) is a kind of electronic anti-shoplifting system that can decrease shoplifting when retail enterprise implement open-shelf sale this in-return increase sales and profit. 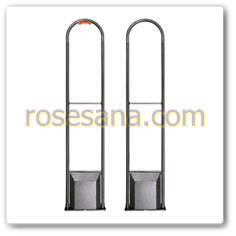 EAS system consists of electronic sensors (transmitter and receiver), deactivator system and label or tag. 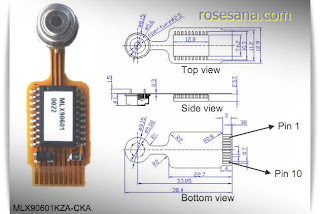 Electronic sensor that are located at store exit and entrance transmitter (TX) will send a unique RF signal at certain frequencies to a receiver (RX) which creates a "RF surveillance zone" around the store exit/entrance. When a product with an active label or hard tag is moved past a this sensor surveillance area, the sensor will detect this tags and sets off an alarm. Radio Frequency (RF) is the most popular and common technology in today EAS system, it adopts Radio Frequency as Transmit and Receive signal, the detection frequency ranges from 7.x~8.xMHz. The advantage of RF EAS system is cost effective. PDS3210 series of digital RF sensor using AD transform technology sampling the simulative signal high-speed, prosecuting computerized signal intelligent identification (CSDM) label under noisy background. It is different from the simple parametric technology that it only identifies the spectrum and the functionary periods of label signal. At the same time, it increase filter and decrease noise circuit in these new technology compared with traditional EAS system. With this new technology implemented in PDS3210 sensors it increase the sensitivity but prevent low and false alarm at the same time. 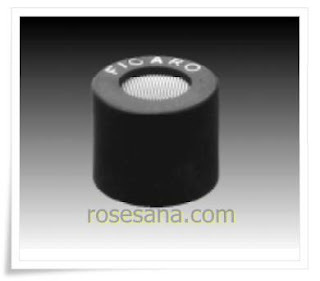 Securitex/Promatic PDS3210-EC can also be use in the field of human movement monitoring application. In serve cases of senile dementia patients, normally they will wonders of the premises without the staff and doctors noticing them. At Securitex our system will be able to alert the respective doctors, nurses or caregivers when this patients wonder of the premises. The system will be able to sent out a signal to the caregivers and corrective action can be taken before this patient wonders off and get lost. Securitex/Promatic PDS3210-CC can also be use in the child care centre to monitor the movement of the children within the centre. Many time children get lost when they wonder off the premises without the teachers and attendance noticing them. At Securitex our system will be able to alert the respective centers attendance when this children play nears the doors or when strangers try to bring the child out of the centre . The system will be able to sent out a signal to the caregivers and corrective action can be taken before this child wonders off and get lost. Promatic can provide all kinds of EAS soft label that can be stick to the surface of merchandise that needs to be protected. It can also be put together with the packaging material of merchandise so it can protect merchandise conveniently. VINCULUM USB-HOST Starter Kit is a USB host controller module that can be used to interface a USB device via UART, parallel FIFO and SPI. This module can be used for applications related to USB devices such as access USB data, communicate with a HID (Human Interface Device), CDC (Communication Device Class) and compatible with other FTDI devices. Interface UART, parallel FIFO and SPI are supported by this module has a voltage level compatible with TTL voltage levels. 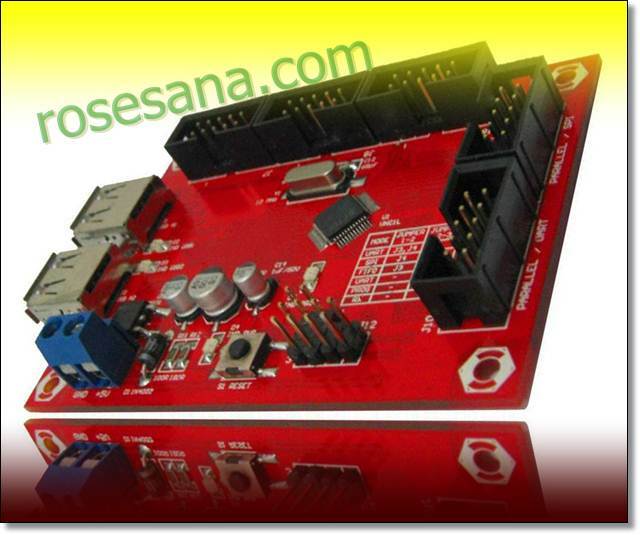 This will allow users to link this module with microcontroller-based system / microprocessor. * There are 2 USB ports that can be connected with USB flash disks, USB devices HID, CDC or any other FTDI devices. 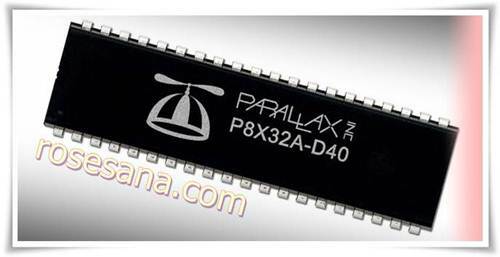 * Support the interface UART, parallel FIFO and SPI with TTL voltage level (5 volt tolerant). * The UART interface supports baud rate 300 bps to 1 Mbps, with the default configuration of 9600 bps, 8, N, 1, flow control CTS / RTS. * The SPI interface serves as the SPI slave with clock speeds up to 12 MHz. * Line interface can be accessed through a header which is equipped housing so as to minimize wiring errors. * The selection interface is done through the configuration jumper settings. * Available for IC VNC1L the reset button. 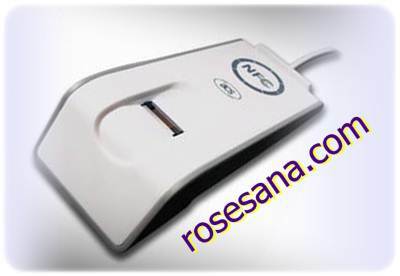 * Available LED indicators for port USB1, USB2, power supplies and programs. * Using the SMD components and aluminum capacitors makes this module compact size. * 5 VDC power supply is equipped with a safety blue terminal polarity via 2 pin making it easier for cable installation. * The software (firmware) VNC1L IC can be updated, the update files can be obtained from the website VINCULUM. * Includes software to help update the firmware IC VNC1L via computer. * Available IC firmware update guide VNC1L through UART interface. 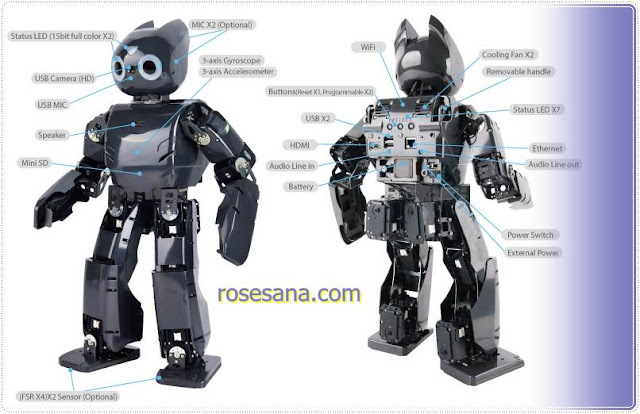 * Equipped with a schematic circuit and test program for the module. * 1 unit VINCULUM board USB-HOST Starter KIT. * CD / DVD-ROM contains the datasheet, firmware VNC1L, VNC1L firmware update software, test programs, manuals, and schematic firmware update procedure. GSM Starter Kit is a technology development module GSM / GPRS-based means of exchanging SIM300C to voice (telephone), data exchange text (SMS) via GSM and exchange data via GPRS. 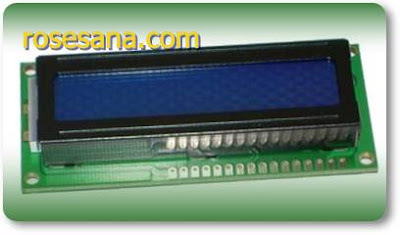 This module is equipped with an LCD 16 characters x 2 lines for the display media. This module has a UART serial interface TTL / RS232. This module can be used for electronic toll-application mobile phone sales, as well as other applications that require data communications over GSM / GPRS network. * Based SIM300C, module GSM Tri-Band: EGSM 900, DCS 1800 and PCS 1900. * Support SIM card with a voltage of 1.8 V and 3 V.
* Supports GPRS multi-slot class 10, the SIM Application Toolkit features, features Fax and TCP / IP. * GPRS downlink data transfer speeds up to 85.6 Kbps and a maximum of 42.8 kbps GPRS uplink in normal network traffic. * Support for speech codec mode with half rate, full rate and enhanced full rate. * Supports phonebook and SMS storage on the SIM card (Phonebook and SMS number in accordance with the capacity of the SIM). * Support the PDU and text mode (the setting in software via AT Command). * Features autobauding, election baud rate automatically. * Available LCD 16 characters x 2 lines are equipped with LCD contrast regulator. * There is a button to turn on or turn off the GSM module. * Available LED indicator for GSM and the GSM module. 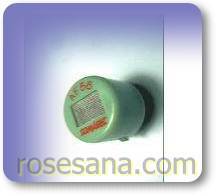 * Available as an indicator buzzer rings (incoming call). 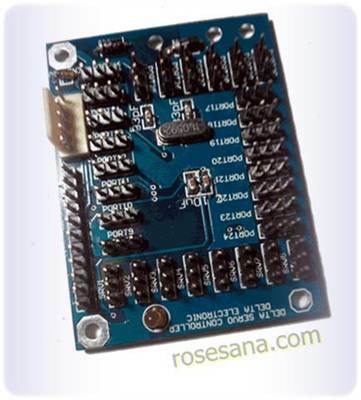 * There is a socket for battery Real-Time Clock (RTC) 3V type 'CR2032'. 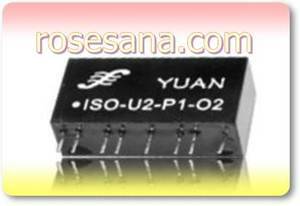 * Options UART serial interface RS-232 or serial TTL UART fully compatible with PC-Link USBer. * Available LED status indicators UART serial communication (valid / invalid data). * Can be connected and controlled directly through the computer serial port. 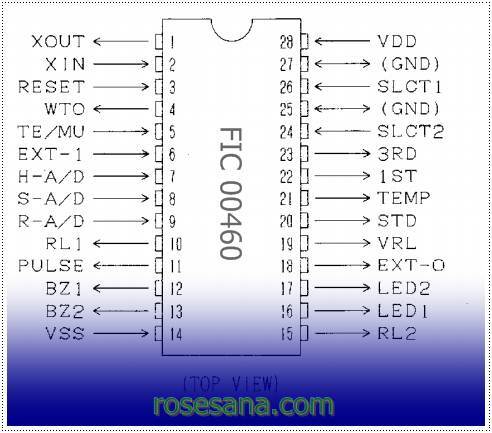 * Available header for keypad 4 X 4, 4-bit LCD, SPI & Debug. * Available unuk header I / O with TTL level, can be used to control or indicator GSM module. * Available 1 channel ADC with a range from 0 to 2.4 VDC is converted to a value of 0-2400. * Supply voltage 9-12 VDC, equipped with on-board voltage regulator. * Available RJ-10 connector for connection to the handheld (the receiver) and a port for hands-free. * Compatible with DT-51 Low Cost series and DT-AVR Low Cost series and support the system microcontroller / microprocessor another. * There are examples of applications written using Borland ® Delphi ™ and BASCOM-8051 ©. * 1 piece of GSM Starter Kit board. * 1 piece handsfree mono (mic + speaker). * 1 piece of CD which contains a sample application, the program tester, manual and datasheet. TGS 2442 utilizes a multilayer sensor structure. A glass layer for thermal insulation is printed between a ruthenium oxide (RuO2) heater and an alumina substrate. A pair of Au electrodes for the heater are formed on a thermal insulator. The gas sensing layer, which is formed of tin dioxide (SnO2), is printed on an electrical insulation layer which covers the heater. A pair of Au electrodes for measuring sensor resistance are formed on the electrical insulator. Activated charcoal is filled between the internal cover and the outer cover for the purpose of reducing the influence of noise gases. TGS 2442 displays good selectivity to carbon monoxide, making it ideal for CO monitors. In the presence of CO, the sensor's conductivity increases depending on the gas concentration in the air. A simple pulsed electrical circuit operating on a one second circuit voltage cycle can convert the change in conductivity to an output signal which corresponds to gas concentration. The TGS 2201 contains two independent sensing elements on one substrate and produces separate output signals for responding to diesel and gasoline exhaust gases. This feature makes TGS2201 is an ideal senor for application in automatic damper control systems for automobile ventilation. Gas sensor made with thick film element. 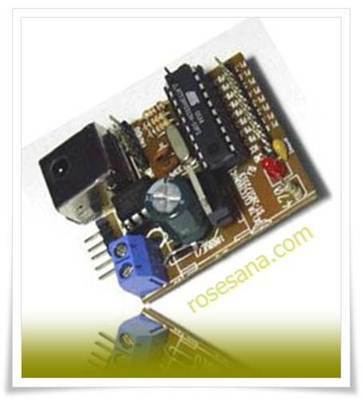 Rated working voltage of heater ....................... 5 ±0.2V d.c.
8 Channel Delta Servo Controller is a servo controller module which has feedback feature that detects how much the motor rotates. To secure the servo from damage due to mechanical failure feedback is also available to stop the movement when the servo is active. There is also a feature to move the servo in relative lockstep. 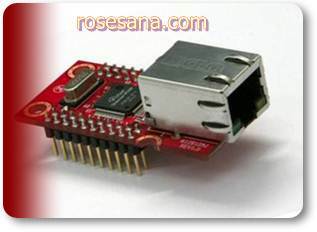 DSR-08 module is DSR-30 module with the DSR-08 firmware (different firmware). 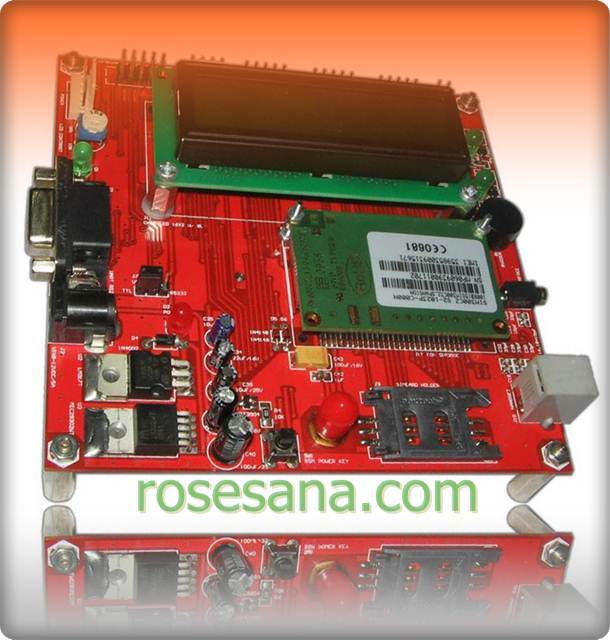 30 Channel Delta Servo Controller is a servo motor controller module via the serial port. Servo motor movements arranged by using PWM in which the position of the servo is determined by the PWM pulse width. In mechanical Ròbotic Application for example , there more than one servo's movement controlled. 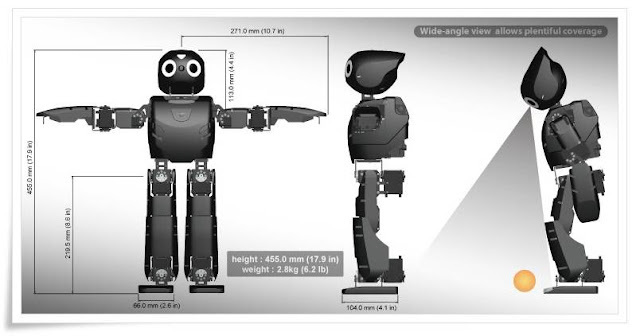 This will be quite complicated when performed by a microcontroller where the microcontroller is still to be developed for other functions of the robotic. 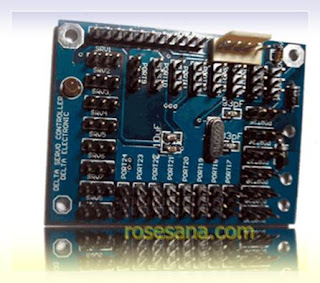 The Device which has 30 channels that can control the position of 30 servo motors and through data sent from the serial port would be very helpful in this regard. 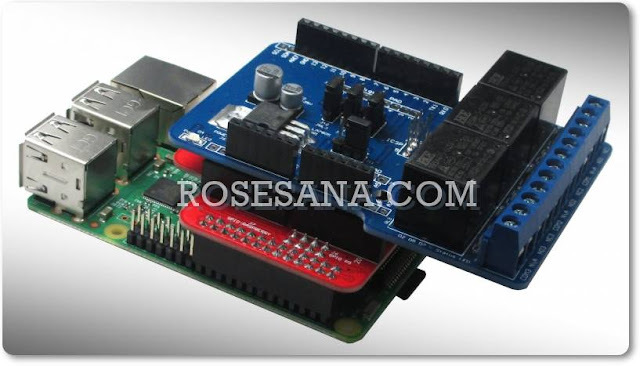 The main microcontroller only send a commands to the position of each servo. Addition servo positioning also commands for the current servo position. The AET65 Smart Card Reader with Fingerprint Sensor guarantees security and convenience in a variety of applications. Combining ACS' ACR38-SAM contact smart card and UPEK's swipe fingerprint sensor in a single device, it creates a more cost-efficient and simplified integration of biometric technology in applications where the accuracy of biometric authentication is necessary to ensure a high level of security. AET65 utilizes three-factor authentication and match-on device authentication for maximum security. With three factor authentication, the device verifies something “you have” (smart card), something “you know” (PIN/password) and something “you are” (fingerprint). Users carry their fingerprint templates with them and fingerprint verification authenticates only the smart card user, neutralizing privacy concerns and security risks posed by dummy fingerprints or stolen cards. Moreover, AET65’s default fingerprint algorithm performs fingerprint template extraction and matching within the device itself – not in the PC – for protection against various security threats that attack PC's. With its built-in secure access module (SAM), AET65 further elevates security in applications. Finally, developers without an in-depth knowledge of biometrics can integrate fingerprint authentication into smart card-based applications using only AET65’s API and reference documents. With AET65’s support for third party fingerprint algorithms, developers can easily expand or adapt their existing systems utilizing third party fingerprint algorithms. 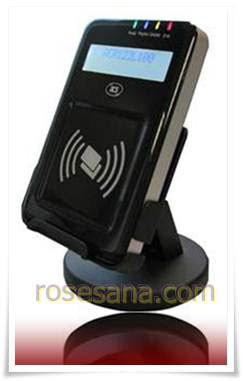 ACR122L is a serial interface NFC contactless reader with LCD. It is developed based on the 13.56 MHz RFID technology and the ISO/IEC 18092 NFC standard, and supports ISO 14443 Type A and B cards, Mifare, FeliCa and NFC technologies, including all 4 types of NFC tags and all 3 modes – reader, peer-to-peer and card emulation modes. 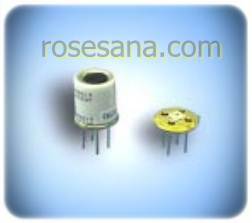 ACR122L is a plug-and-play device that does not require any driver installation. It comes with 4 LEDs, a buzzer and an LCD, which both provide users with a clear indication of the reader's status. The 2-line graphic LCD has multiple language support, including language support for Chinese, English, Japanese and some European languages. It allows interactive operation, such as scrolling up and down, left and right, etc. Moreover, it is equipped with three built-in SAM slots for enhanced security in contactless operations. The reader can read and write more quickly and efficiently by using up to 424 Kbps of tag access. It also has a proximity operating distance of up to 50 mm, depending on the type of tag in use. Further, its built-in anti-collision feature and direct card type polling commands ensure a smooth operation, allowing the device to access only one card, even in cases where multiple cards are present and detectable. Combining a smart card reader and mass storage into one, the ACR100 SIMFlash is sought after in different applications worldwide. With its superior plug and play feature (delivered by either CCID or HID compliance) and various flash memory partitioning options, this USB token enhances security and flexibility in storing or running different kinds of software/applications. 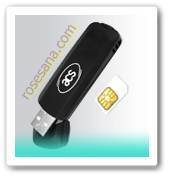 The ACR100 SIMFlash (HID) is a SIM card reader and a 1-GB flash memory combined into one. Designed both to access SIM cards and to store data or applications, it is ideal for GSM solutions such as GSM management software and VoIP applications, electronic payment systems, e-commerce, home banking, transportation, and computer/network access. The ACR100 SIMFlash (HID) Smart Card Reader is a reliable and cost-effective smart card reader for security-related applications. It is a high-speed plug-in USB card reader which, paired with mass storage, enables one to do more than simply backing up and managing SIM card information through the PC. It supports most memory and MCU cards conforming to the T=0 and T=1 protocols, and GSM cards conforming to the GSM 11.11 specification. Furthermore, the ACR100 SIMFlash (HID) is a mass storage device. Being highly portable – with a dimension of 77 mm x 23 mm x 10 mm – makes it a perfect companion for users on the go. There is no need for additional cable and power supply, since the device is bus-powered. Various options for partitioning the flash drive are also available; CD-ROM, boot disk and public, and locked and hidden areas can all be accessed within the same device. Aside from its capabilities for mass storage, the ACR100 SIMFlash (HID) also has a plug-and-play feature made possible by its being compliant with USB HID (Human Interface Device). This eliminates the need for driver installation, allowing for the device’s easy integration into the PC environment. 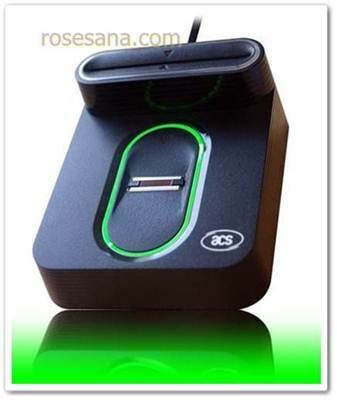 The USB CCID (Chip/Smart Card Interface Devices) specification defines a standard communication protocol for PC/SC smart card readers that connect to a computer via USB, allowing the same host-side driver to communicate with any CCID-compliant smart card reader. This approach to smart card reader communication brings simplified plug and play experience to users. For Windows Vista, the Microsoft CCID driver is already pre-installed in the Windows package, so there is no need to install any drivers. For Windows XP and 2000, there may be a need for driver installation, depending on your Windows package. However, no explicit user action is needed. You just need to sit and wait for a few moments for Microsoft Windows Update to install the driver automatically upon plugging in your ACR100 SIMFlash to the PC for the first time. In case Windows Update is not available or when you don’t have Internet connection, please download (or have someone to download) the driver from the ACS website: http://www.acs.com.hk/download.php. Please note that this driver should be used only when the MS CCID driver cannot be installed for some reason. From the name itself, a human interface device or HID is a type of computer peripheral that directly communicates with humans, either by taking input from or delivering output to them. The term “HID” usually refers to the USB HID class, a USB device class that describes HIDs such as computer mice and keyboards. HID support for the ACR100 SIMFlash brings the same plug and play convenience as when you use a mouse or a keyboard that do not require any special driver for most operating systems. The HID driver is already pre-installed in Windows XP, 2K and Vista that is why there is no need for any driver installation. The AET62 NFC Reader with Fingerprint Sensor brings a whole new level of security and flexibility to contactless applications. Combining ACS' ACR122U Near Field Communication (NFC) Reader and UPEK's swipe fingerprint sensor, it provides a secure and convenient platform that simplifies and makes the integration of secure biometric authentication more cost-effective. AET62 facilitates a simple and intuitive exchange of information, making it ideal for applications such as e-Payment, e-Government, e-Healthcare, access control and network security. With its ergonomic design, it enables hassle-free fingerprint and contactless card authentication for users. The core security mechanisms of AET62 include three-factor authentication and match-on device authentication. Three-factor authentication requires a user to verify something “he has” (smart card), something “he knows” (PIN/password) and something “he is” (fingerprint), before enabling him to proceed with any transaction. Meanwhile, AET62 ensures maximum security by providing match-on device authentication using its default fingerprint algorithm, in which fingerprint template extraction and matching are performed on the device itself and not in the PC, which is more vulnerable to security attacks. AET62 also has an optional secure access module (SAM) for further security enhancement, and can support third party fingerprint algorithms. Finally, AET62-based systems are more cost-effective than traditional fingerprint systems since they do not require the installation of database, server and network connectivity. Instead, AET62-based systems enjoy the ease of merely matching a live fingerprint against fingerprint templates that are stored and encrypted in the smart card. This allows for complete local-site authentication, in which AET62-based systems only need three components to work: local PC applications (or remote server applications), any contactless smart cards, and the AET62. As a result, developers without an in-depth knowledge of biometrics can integrate fingerprint authentication into smart card-based applications using only AET62’s API and reference documents. 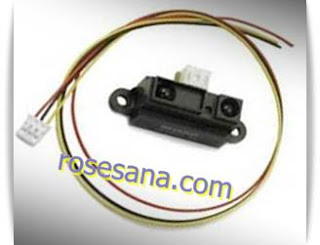 GP2D15 distance measuring sensor by SHARP. Smoke or LPG sensor module type SG-2008. 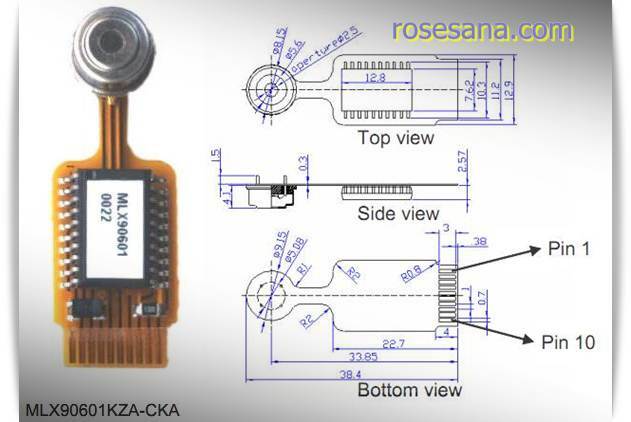 The MLX 90601KZA-CKA module is targeted at industrial and consumer application. The sensor and the MLX90313 ASIC are placed on a flexible substrate. The flexible substrate allows the sensor to be bent in any direction, which may greatly simplify the mechanical of the module. more info refer to datasheet here. DARwIn-OP (Dynamic Anthropomorphic Robot with Intelligence–Open Platform) is an affordable, miniature-humanoid-robot platform with advanced computational power, sophisticated sensors, high payload capacity, and dynamic motion ability to enable many exciting research and education activities. HD44780 is industry standard for character LCDs in embedded systems. The LCDs come in various configurations from 8x1 through 16x2 to 20x4 among others (40x4 exists but it's two controllers joined together because of 80-character controller limit). The Propeller chip is designed to provide high-speed processing for embedded systems while maintaining low current consumption and a small physical footprint. In addition to being fast, the Propeller chip provides flexibility and power through its eight processors, called cogs, that can perform simultaneous tasks independently or cooperatively, all while maintaining a relatively simple architecture that is easy to learn and utilize. Two programming languages are available: Spin (a high-level object-based language) and Propeller Assembly. Both include custom commands to easily manage the Propeller chip’s unique features. Parallax, Propeller, Spin, and the Parallax and Propeller logos are trademarks of Parallax, Inc. All other trademarks are the property of their respective holders. The Easy Bluetooth is a RoboTech RBT-001 Bluetooth serial modulewith an adapter specifically designed to be used with the Parallax Board of Education® AppMod Header or breadboard. 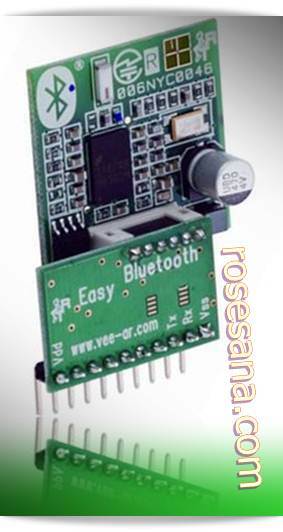 In addition, the Easy Bluetooth can plug into any 0.1 inch spacing development platform which allows it to be breadboard friendly, and also easy to implement into a soldering application. The module has two parts, the RBT-001 module and the SIP with voltage regulator PCB. With the on-board regulator, the module can be connected to voltages higher than 3.3 VDC, such as the Board of Education regulated supply (+5 VDC) without worry of damaging the unit; while the RX and TX can utilize serial communication at CMOS and TTL levels. ISO series DC voltage isolated amplifier is a kind of IC that can convert DC voltage to output current or voltage that according to comparison with no relationship with load. It’s widely used in Electric power, distant control, instrument, medical instrument, and industrial control industries. 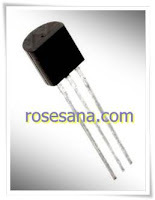 This photoelectricity isolation is with good anti-jamming capability Efficiency grade0.1, 0.2, 0.5 ,0-10mA/0-20mA/4-20mA isolated signal of international standard signal input and output.Output voltage signal: 0-5V/0-10V/1-5V;Output current signal0-10mA/0-20mA/4-20mA.With high load capability. Extremely high linearity in whole process (nonlinearity < 2%). WIZ812MJ is the network module that includes W5100 (TCP/IP hardwired chip, include PHY), MAG-JACK (RJ45 with X’FMR) with other glue logics. It can be used as a component and no effort is required to interface W5100 and Transformer. The WIZ812MJ is an ideal option for users who want to develop their Internet enabling systems rapidly. For the detailed information on implementation of Hardware TCP/IP, refer to the W5100 Datasheet.